Chef Tess Bakeresse: Vegan, sugar-free, nut-butter cups! Oh. My. Word! 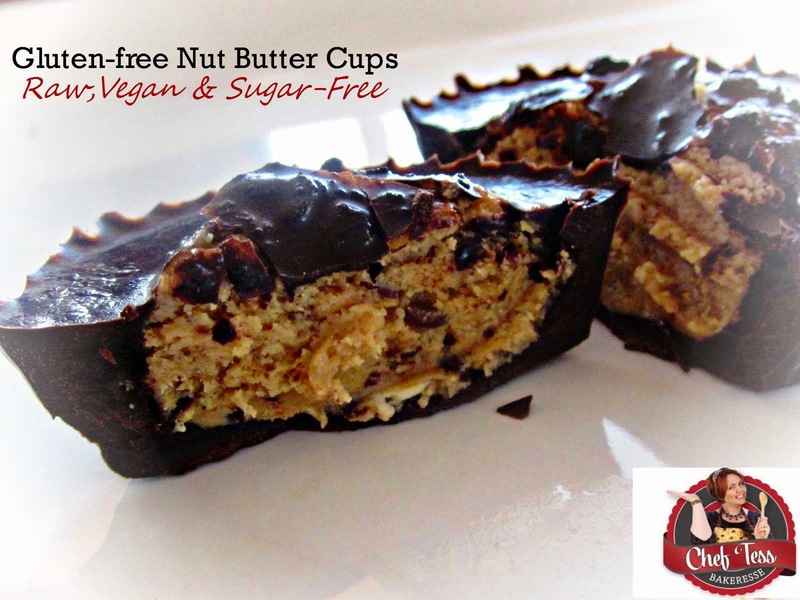 Vegan, sugar-free, nut-butter cups! Oh. My. Word! I was visiting with my darling friend Laura Madden who shared with me her remarkable Natural Vegan Chocolate bark and we talked about the amazing possibilities of the bark in other dishes. Peanut butter cups come to mind...only because they're just the bomb. I'm not going to lie, there's a huge part of my rear-end that was caused by those sugar treats. Many of you know that I've been switching over to a healthier lifestyle and when it comes to food, I am certainly a work in progress. That being said, when I find something amazing that can satisfy my cravings now and then, it is a good thing! So, here's the natural, vegan, sugar-free version that I came up with today. It has been a blast...and I'm not going to lie, I'm so very glad to have something to replace my peanut-butter cups with right now. Basically, combine all the ingredients. I know. It should be more complicated. Melt the coconut oil over very low heat just until liquid. Stir in the remaining ingredients until smooth. Doesn't the picture of chocolate like that just do the heart good? Pour 2T of the liquid into eight baker's cups and put the cups in the fridge until set, about 5 minutes. Put the peanut butter disk on top of the cooled chocolate mixture and then top with remaining mixture, about 3T per cup. Cover the top of the disk-thingy. If you want to use more chocolate mixture you can, but I just needed a thin candy shell over it to get my fix. Place in fridge and set, about 10 minutes. I do realize how freakishly hard it will be for them to set, but think of that chocolate coating being able to melt like a truffle-y mess in your mouth. Keep chilled until you're ready to enjoy. Coconut oil will start to melt around 80 degrees, so chilling is best. There you go! A great replacement for an occasional treat! Is there a reason why vanilla bean paste is your preferred vanilla form here? 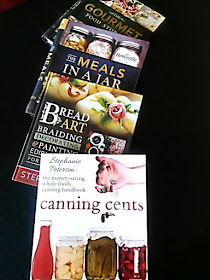 I'm guessing that most kitchens don't have it (mine doesn't). Maybe I can figure out a way to make my own. But would vanilla extract make the filling too runny? And would I use the same measurement of the extract? I just love vanilla bean paste but you can use equal amount of real vanilla here.